Thanos. 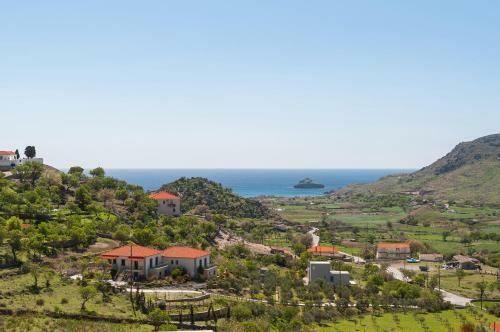 Thanos is located four kilometers southeast of Myrina, the capital of Lemnos. From Myrina it is reachable by car within 10 minutes. 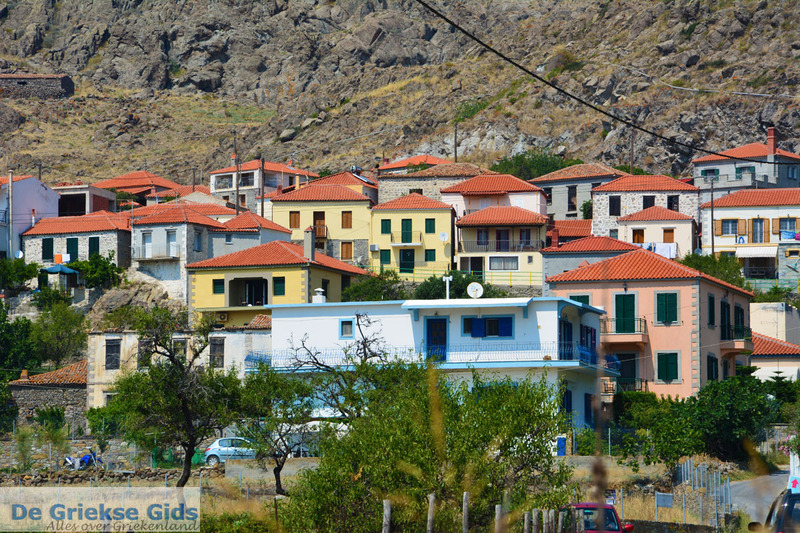 The village lies on the slopes of the mountain 'Kakkavos' and the houses here usually consist of two floors and have ceramic tiles. 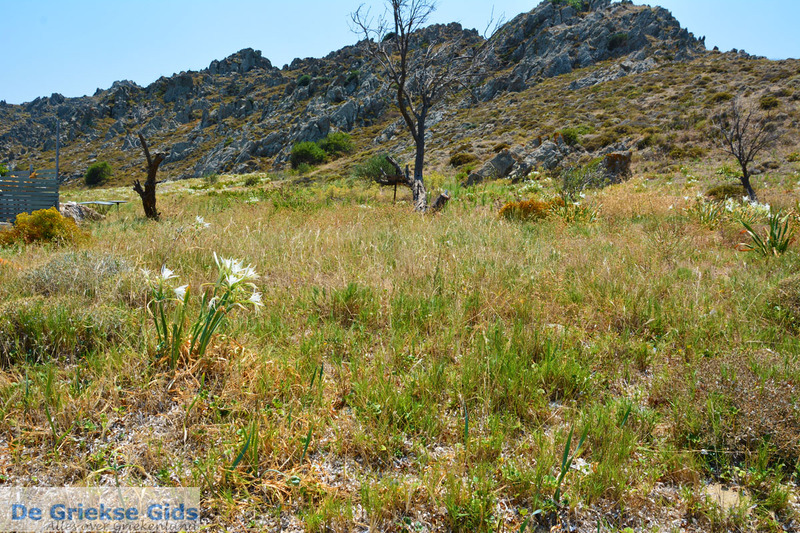 In the village are the churches of Zoodochou Pigis and Agia Paraskevi built in 1890. 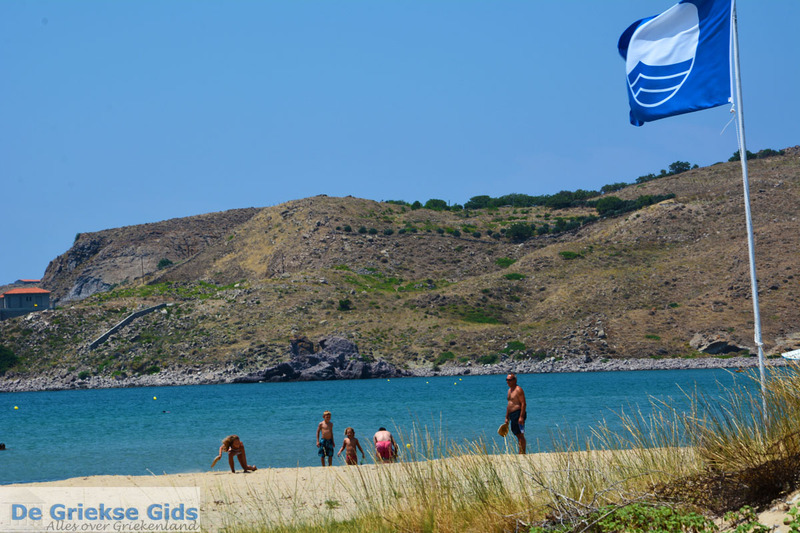 Agia Paraskevi is the larger church. In the village are narrow alleys and streets, a walk through the village is well worth it. Noteworthy is the old elementary school which was built in the year 1899. 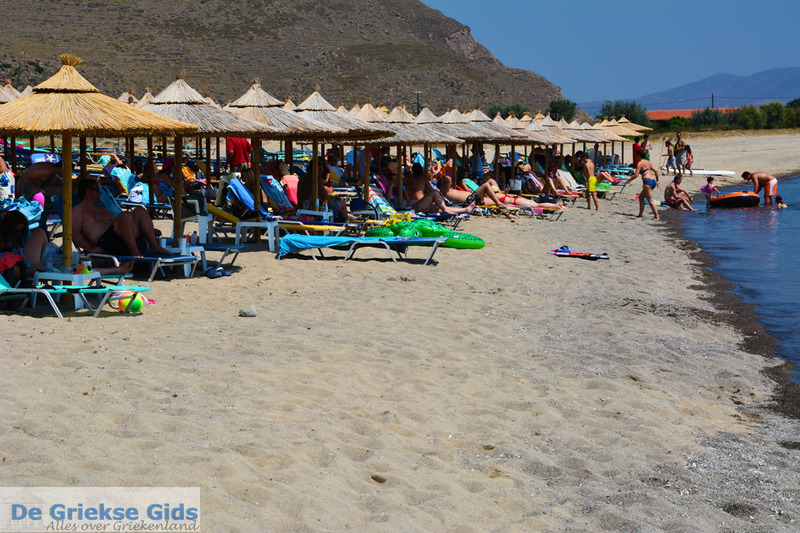 Three kilometres south of Thanos is the beach of Thanos. 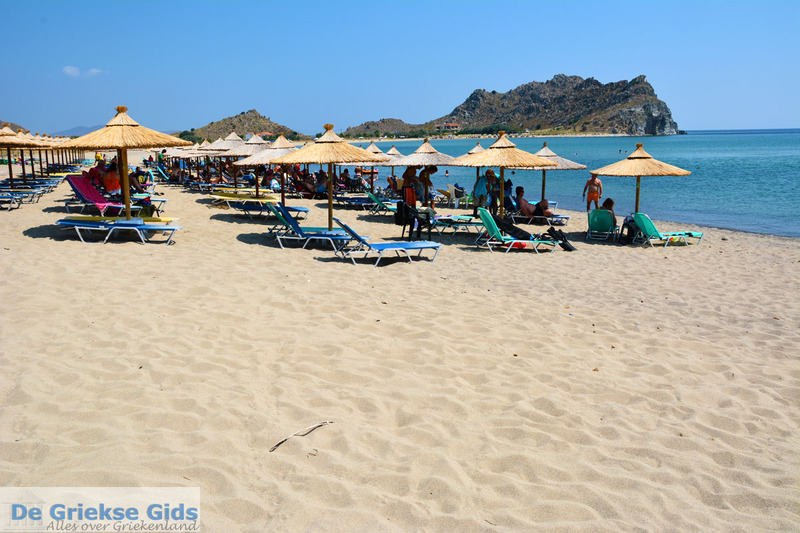 This is one of the beautiful sandy beaches of the island. 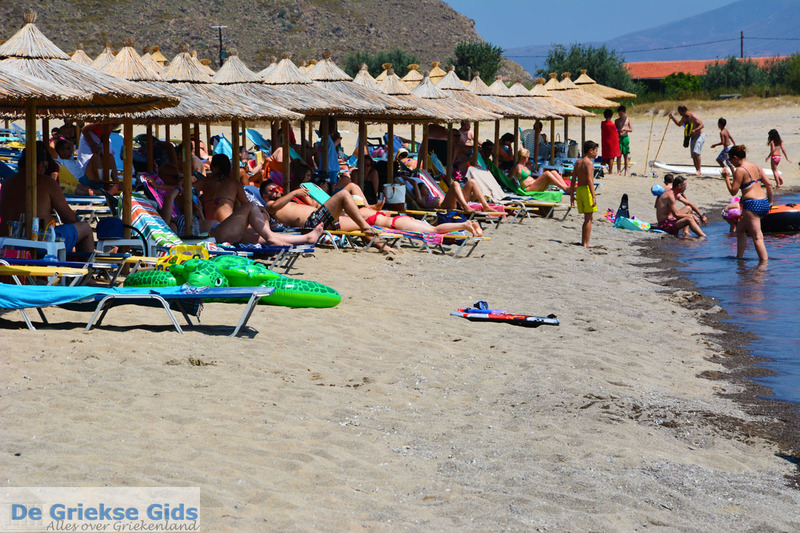 Thanos-beach is located in a lovely bay and is surrounded by impressive volcanic rocks. 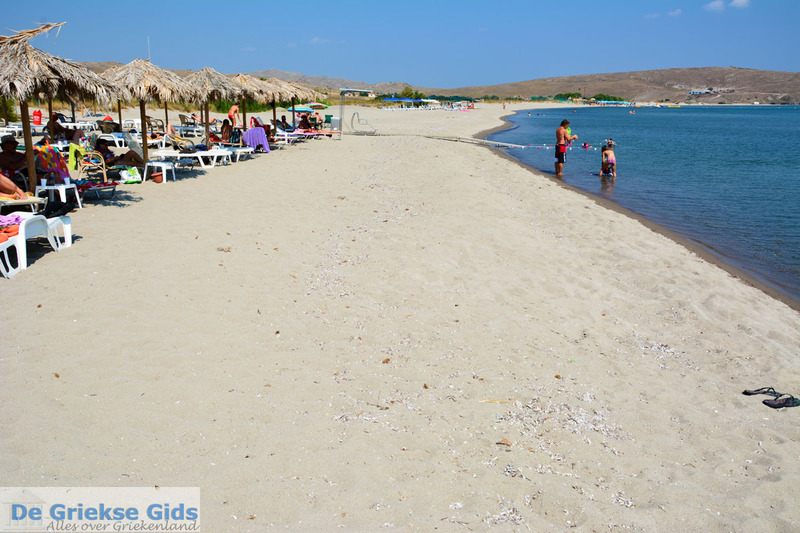 The crystal clear sea and shallow waters attract mostly families with young children. Remarkable are the different colours and types of rocks, this has to do with the volcanic nature of the island. 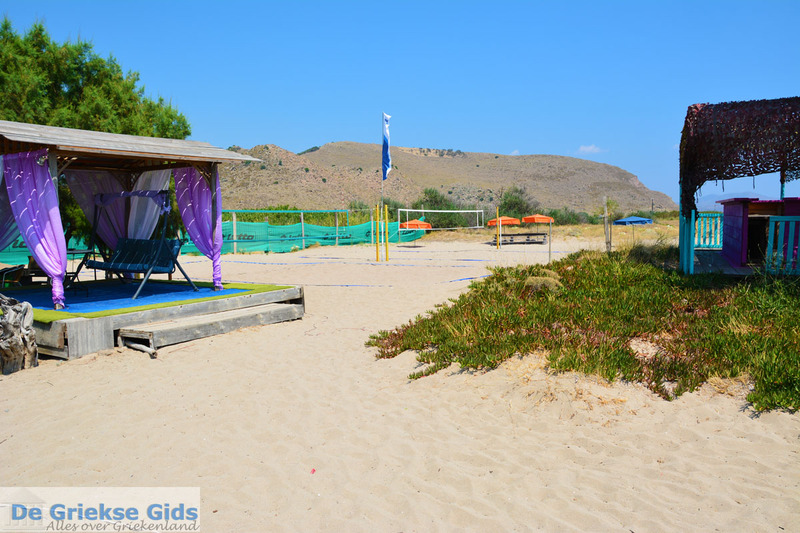 The beach is well organised, there are sunbeds and umbrellas for rent and you can also practice all kinds of watersports. 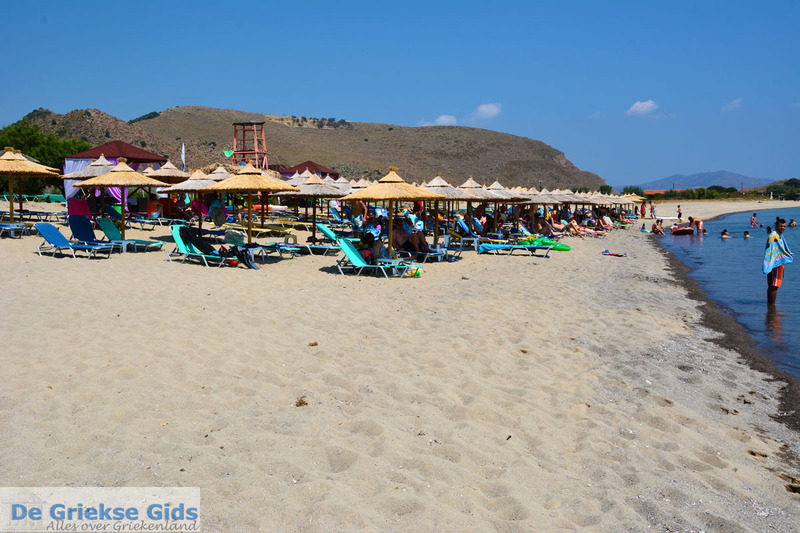 At the beach are a number of restaurants and cafeterias, which are accessible via three different dirt roads. 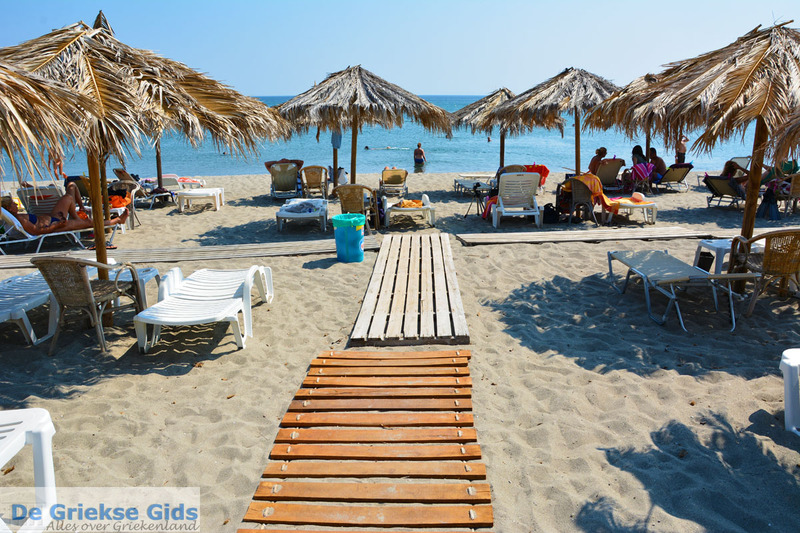 A very nice café-restaurant is the one of Pantelis where you can relax and have a bite to eat. 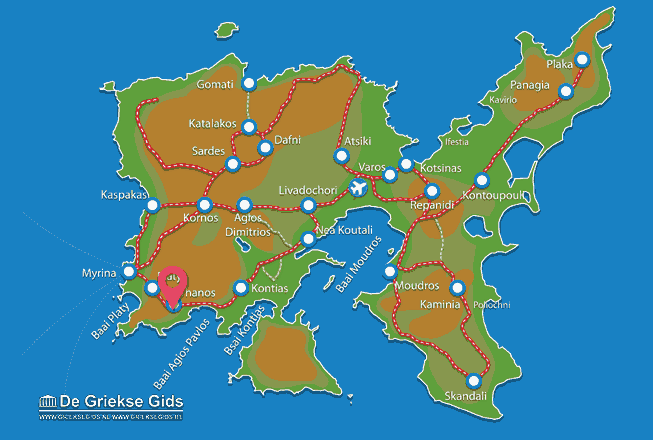 Lemnos: Where on the map is Thanos located?